If there's one person who hogs the limelight in India's burgeoning health industry, it's Apollo Munich Health Insurance CEO Antony Jacob. Armed with a resolve to uncomplicate health insurance for its stakeholders, he has been taking the company to greater heights since April 2009, including finding it a place on the list of top 100 Places to Work Survey-2011. His professional career spans 27 years, across diverse industries and companies such as ITC, the Continental Grain (now part of Cargill) and the RSA group. Between 2004 and 2007, Jacob was the Managing Director of Royal Sundaram Insurance in Chennai (his hometown). However, varied as his experience in the industry may have been, there has been one constant in his life. It is an undying love for golf, a game he plays regularly and is passionate about. BT More catches up with the man behind the club for an insight into his life on the greens. 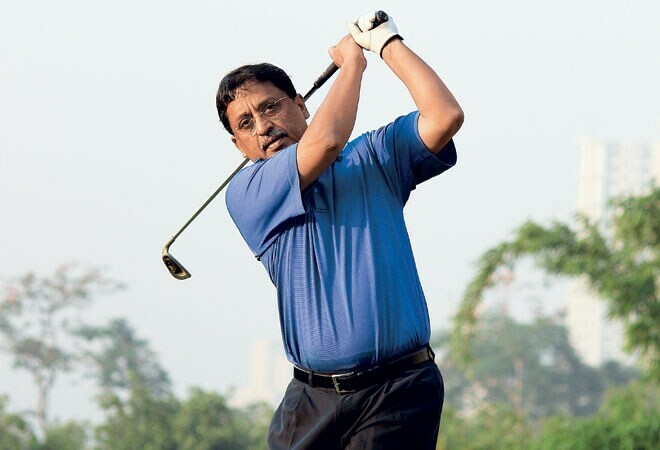 I used to work at the ITC in Kolkata in 1986, and was a member of the Tollygunge GC. It so happened that I once went to an auction in search for furniture and ended up buying a second-hand Wilson half-set (irons & woods) for `400. That's how I started playing golf in 1988. Golf is clearly a sevenhour programme, but I don't mind that because I like outdoor sports. Also, golf allows me to network with many unique people. What drives me and my interest in golf is the urge to score better than last week. Interestingly, I've never achieved a hole-in-one. I'd love to get one against my name at least once in my lifetime. I don't like extreme cold, so I prefer to not play too often during peak winter months. These days, I play at least once in the weekend, and sometimes a nine-hole round during the weekdays. I have played in Kolkata (at the Tollygunge Golf Course), Hyderabad (Secunderabad Golf Course), Delhi (Army Golf Course), Chennai (Cosmopolitan Golf Course), Dubai (Emirates Golf Course), Noida Golf Course and Gurgaon (DLF Golf Course & Classic Golfing Range, Manesar). I am yet to play at the Delhi Golf Course. Spain is a great golfing destination. Within India, I've had a great time playing at Kodaikanal, Ooty and Sikkim (Yak GC). I haven't traveled to Jammu & Kashmir yet, but I do plan to visit some of the famous golf courses there sometime soon. Also, DLF Golf Course is a great place to be in! It isn't difficult to relate golf to the corporate world, particularly general management and leadership. The sport urges you to excel. You usually have a great day at the course if you've prepared well for the round on the previous night and possess a relaxed mind. Just like you can bounce back after a few bad days in corporate life, a few bad holes can be bettered the next day on the course. That's why I enjoy playing golf - there are so many similarities between playing golf and the way you approach general management and leadership. I admire Tiger Woods for his golfing skills. I've closely followed his performances on the course, even the circumstances surrounding his downfall. As a golfer, I think his talent is something I have a lot of respect for. I'm waiting for him to get back to his old class on the course again, and achieve success at the majors. Irrespective of where he is on the ladder, Tiger Woods is, and has always been, my favourite international golfer. I started with Wilson, moved to MacGregor and switched to Ping in 2000. I've been playing with Ping ever since. I won a TaylorMade Burner at a corporate golf event last year, which I keep in my bag as well. I think it's a question of helping those from humble backgrounds, and encouraging them to pick up the golf club. We need to subsidise golf for students, and provide them with subsidised equipment from an early age. If you set up a lending library of golf equipment along with concessional green fees, it will provide many unique youngsters with a chance to get into the game.